It's been a while since I've brought food in for my co-workers. Mostly busy... some tired feelings. And the lazy was in full effect. But all it takes is some call time and a rest day from the gym to finally make something. Nothing to fancy here. Same cake I made for the one year, although I added more instant coffee and brewed coffee. 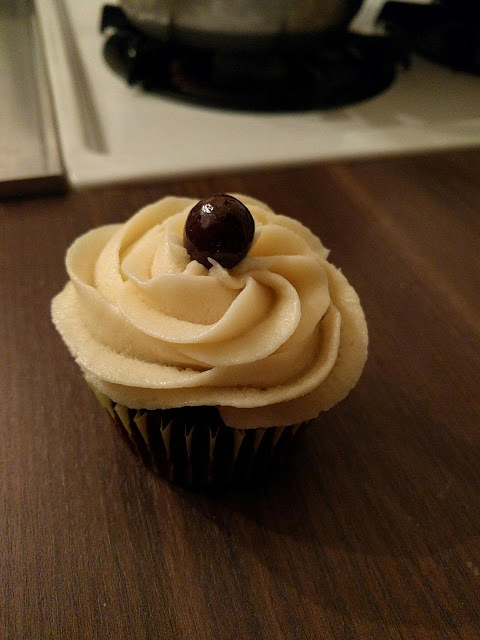 Same buttercream, because I tend to make too much icing. As I write this, there are one... maybe two left. And it's only 9:30. Next time I'm using beer.